"She believed she could so she did." Going back to school in my 30’s to receive my JD, as a handicapped married woman with 3 children--while working full time, and volunteering as a Girl Scout leader, Youth Group leader, and an active PTA member--was no small task but I did it. Now that I have my law license, I want to use it to help those who have been injured and wronged, to enable others and their loved ones to cope with their injuries and hopefully learn to enjoy life again. 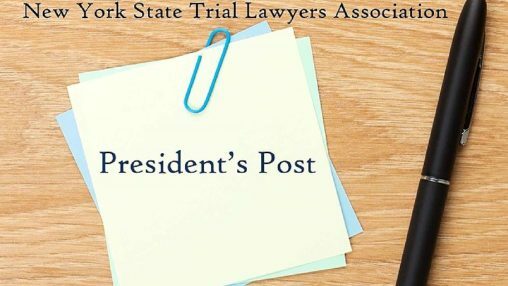 Why did you join NTSTLA? I have worked for Bruce G. Clark and Associates for 16 years. During that time, I had the opportunity to take some of the amazing classes offered to paralegals at NYSTLA. As the firm’s office manager, I was able to bring back new insight and creative ways to better the firm with each class that I attended. 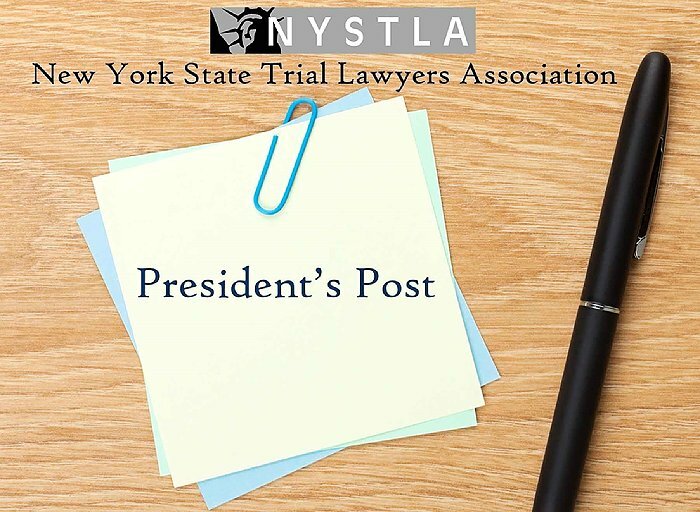 It was a logical move for me to become a member of NYSTLA when I became a trial attorney, to further the insight and knowledge that NYSTLA provides its members. Why did you become a trial lawyer? I was involved in a car accident as a pedestrian while I was working for Bruce G. Clark and Associates. I was in a wheelchair for some time and I then became a plaintiff. I realized what it was like to sit at the other end of the table. I was the victim here. During this time I developed a deeper understanding for the injured and what they were going through. I then decided that I wanted to help others like me. I wanted to do more for the injured. This is why I decided to return to school in my mid-30’s and obtain my Juris Doctor. Becoming disabled opened my eyes to life and what it is really worth. I lived through a devastating accident and as a friend, daughter, wife, and a mother of 3 children, I don’t take any day for granted. I try to live life to the fullest. What was your most rewarding/humbling experience? “She believed she could so she did.” Going back to school in my 30’s to receive my JD, as a handicapped married woman with 3 children–while working full time, and volunteering as a Girl Scout leader, Youth Group leader, and an active PTA member–was no small task but I did it. Now that I have my law license, I want to use it to help those who have been injured and wronged, to enable others and their loved ones to cope with their injuries and hopefully learn to enjoy life again.